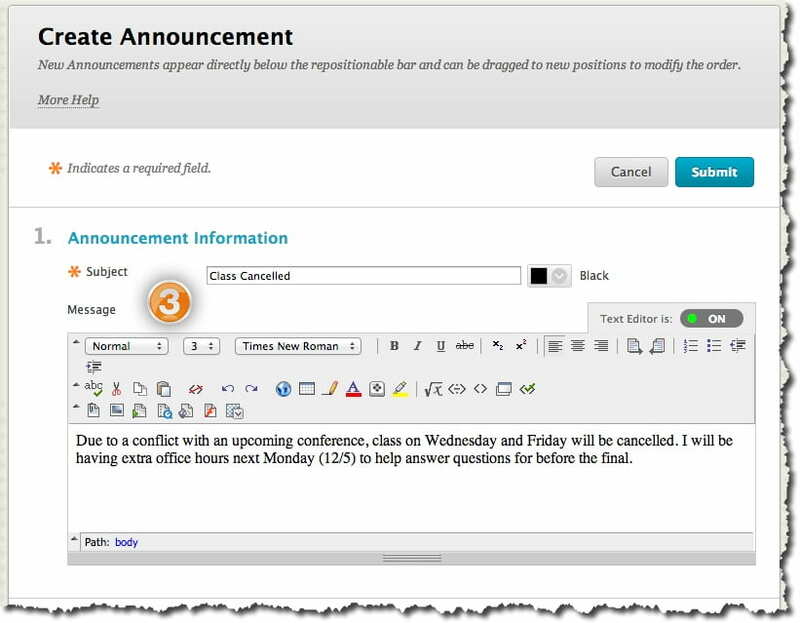 When adding an Announcement, Instructors can also send the Announcement as an email to Students in the course. 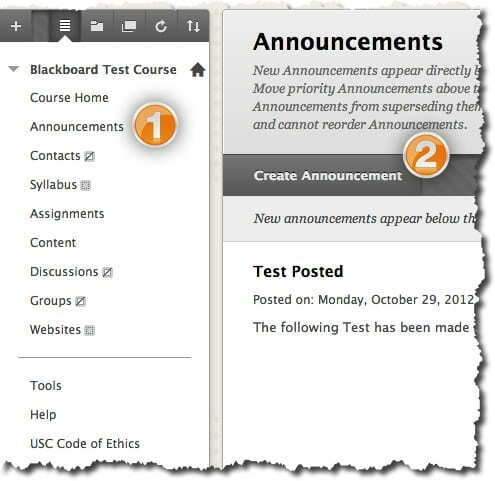 This ensures that Students receive the announcement even if they do not login to the course. NOTE: When performing the instructor functions, ensure Edit Mode is ON. On the Create Announcement page, enter the Subject and the Message. Choose whether to display the announcement permanently, or select date check boxes and enter dates and times. 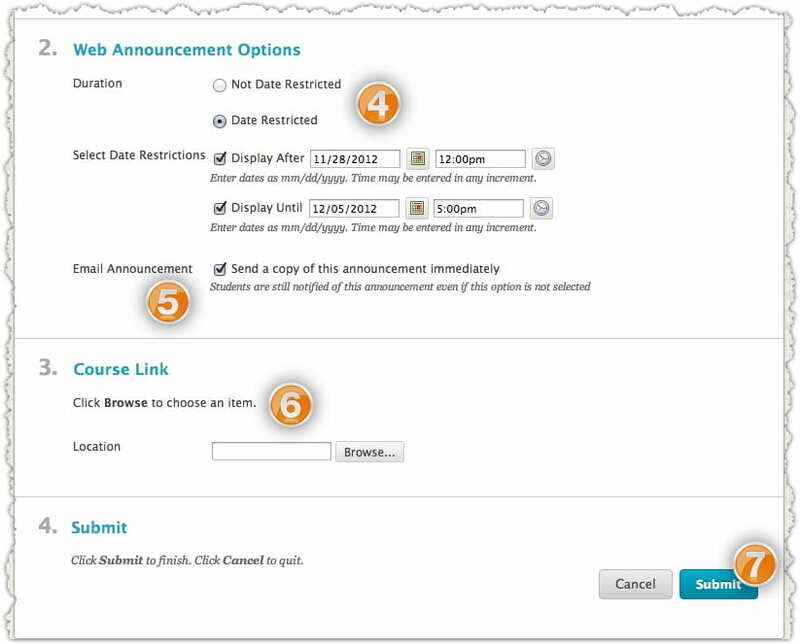 Choose if you want to create a Course Link that takes your students to a particular area or file within your course. NOTE: If no boxes are checked and no dates are selected, the most current announcement will be at the top of the list by default. An announcement can be made permanent and will remain displayed unless date and time restrictions are entered. Permanent announcements appear before non-permanent announcements.